As much as most of us would like to protect our phone and keep it with us at all times, there are some situations where we might have to leave our phone at home, work or some other place. We might even end up misplacing it. With LockWatch app, anytime someone tries to unlock your android phone with a wrong pattern or pass code, it will secretly take a picture of the person and send it immediately to your email address. • It Take a stealth photo of the anyone who tries to unlock your phone using the front camera. • It can also determine your phone's location using GPS and Wi-Fi. • Immediately send the photo and a map showing the location to your email address. • It's completely silent and invisible. It does not display any notification or warning sign. • No third-party lock screen is required as it makes use of Android's built in lock screen. • It works with pattern, pin or password lock screens. • It does not drain battery. The app also has some premium features. • Detect SIM card changes - Emails you if a new SIM card is inserted into the phone. • Send email when powered on - Emails you each time the thief turns your phone off and back on (e.g. when they are home). • Take multiple photos - Attaches three photos in the email instead of one. Each photo is taken roughly one second apart. • Record sound clip - Records 20 seconds of high quality sound using the built-in microphone. 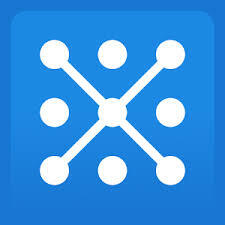 • Turn on data connection - Automatically turn your data connection on and off if needed (Android 4.x only). • Send SMS to a friend - If there is no data connection, sends an SMS to a chosen contact with the location of your phone. => Download LockWatch app from playstore by clicking on this Link. => launch the app and Click on the set email alert. => After that, you will need to set a password, pin or pattern if you haven't done that already. => On the next screen, click on activate to activate LockWatch. => Now you can go ahead and personalise the settings by choosing the email address to send the pictures to and also the amount of unlock attempts allowed. That's all. So if anyone tries to unlock your phone with a wrong pass code or pattern, a picture will be secretly taken and sent to your email.